The islands of the Bahamas are rapidly emerging as the new frontier for real estate development, according to Kevin Dickenson, a Palm Beach Realtor. China struck a deal to build and finance the largest resort in the Western hemisphere at $3.5 billion and announced it will pump $6.3 billion into Caribbean governments. 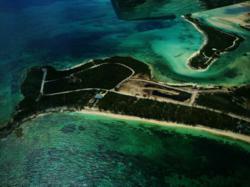 Resort developers and celebrities are acquiring the finest Bahamas real estate. “I’m excited about this property because there is a lot of investor activity in the Bahamas and now I have a good excuse to spend a weekend in paradise,” Dickenson said. Please visit http://www.kevindickenson.com/page/869991/CatIsland to view this unique real estate offering.